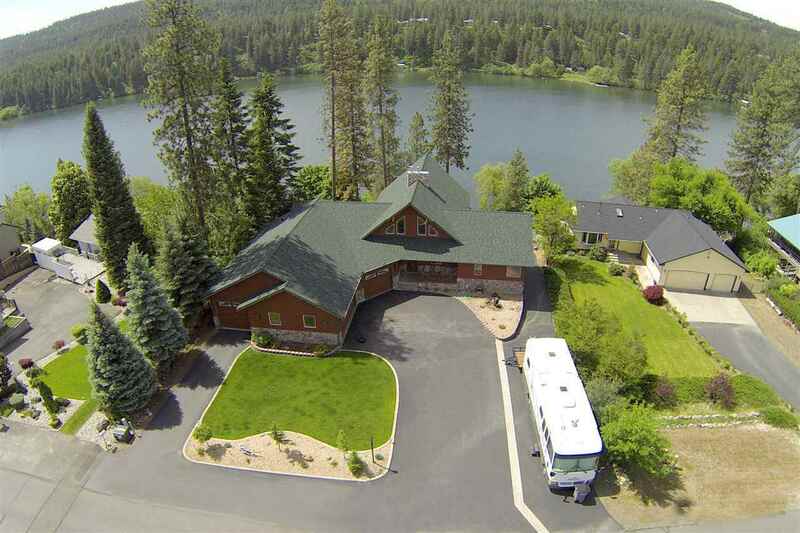 324 E Shore Rd, Nine Mile Falls, WA.| MLS# 201911227 | Cooper Realty Services (509) 599-1111 | Spokane WA Real Estate | Contact us to request more information about our Homes for Sale in the Spokane WA area. Luxurious lakefront home w/100' of premium water front. This 5 bed, 3 bath home features a full lake view! Floor to ceiling river rock gas fireplace. Wrap around composite deck w/covered area - great to take in the lake air year round! Main Floor luxury suite. Lower level family room w/game area & wet bar. 6 car heated garage & fully paved driveway w/RV parking. Gorgeous, low maintenance landscape & concrete driveway to lake w/big dock and covered boat slip. Waterfront living at its absolute best! © 2019 The Spokane Association of Realtors. All rights reserved. Information deemed to be reliable but not guaranteed. The data relating to real estate for sale on this website comes from the Spokane Association of Realtors and the Broker Reciprocity Program.sm. Real estate listings held by brokerage firms other than Cooper Realty Services are marked with the BR logo and detailed information about them includes the name of the listing brokers. Listing broker has attempted to offer accurate data, but buyers are advised to confirm all items. Information last updated on 2019-04-22.